SONOS pioneered the multi-room audio category, and now Alexa can do it too, but Aukey’s solution looks like a great, affordable alternative. These AudioLink speakers feature dual 10W drivers and two passive subwoofers, so they should be plenty loud. They’re also IPX5 water resistant, so you could probably keep one outside. The real kicker though? They can run off a built-in battery for over seven hours on a charge, so you can rearrange them at will if you’re throwing a party. 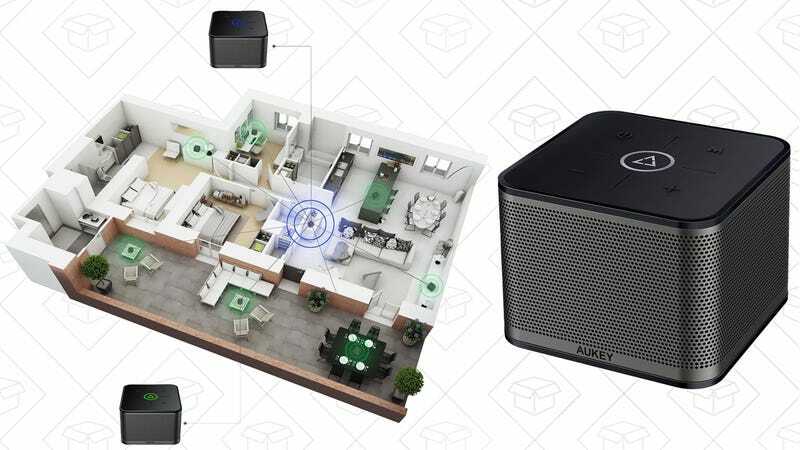 They communicate with each other over a 5.8GHz Wi-Fi connection, so you won’t have to connect them to your home Wi-Fi or fiddle with a bunch of settings. If you live in a mansion, that could be a problem, but their ~100 foot range should be more than enough for most setups. Just use promo code AUKEYSA6 at checkout to save $18.